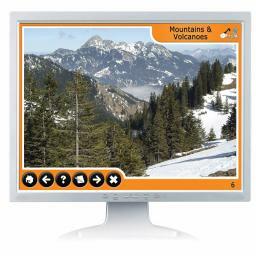 This is a digital version of the hard copy photopack on Mountains and Volcanoes (WG2805). It contains 46 photographs from around the world covering different types of mountain and volcano, weather, vegetation, animals, people and tourism. The teachers' notes and pupil activities are supplied as printable PDFs. Buy the photopack and digital version for a reduced price! See below for Special Offer.